Whether looking to buy, build, or just fix up a home, chances are you have called on the services of a carpenter. With many charging hundreds of dollars per hour, it can be an expensive call. Save some dough and learn more about the industry before picking up the phone. To help, we have collected the top 100 carpentry blogs. With entries for everything from residential to commercial, electrical to plumbing, and everything in between, you are sure to find what you are looking for. You can also use many of them to find a licensed professional in your area. Get the latest news in carpentry by visiting the below blogs. No matter what industry of carpentry you prefer, there are options for you here. The site keeps up to date with contractors, civil engineers, concrete, roofing, and many other areas of construction and real estate. You can also use it to get news in other industries. Stop here for an information source for the home building industry. Topics include construction, design, sales, green building, and there is even a Builder TV option with much more. The Engineer News Record also keeps headlines for those interested in carpentry. Options on this site include topics from infrastructure to economics. They even keep cost reports and other white papers on hand. Need to learn about the latest building materials or methods used in carpentry? Then check out this science based website that reports on items such as strengthened glass, living buildings, and flaws in current building methods. This is the blog for news on equipment, cranes, mining, road, and tunnel building news. Check out headlines by the latest, or you can look them up by company, product, machine, and more. The Associated General Contractors of America keep a steady news feed of breaking news in the construction industry. You can also find a chapter in your area, get state construction data, and annual reports. Construction news, views, interviews, and more are the topics of this blog. There are also posts on related topics from managing to finance. News headlines in both commercial and residential carpentry are featured here. There are also links to headlines in carpentry education and a project database. Learn more about carpentry and contracting in these blogs. Choose from several professional bloggers on this site from energy conservation to women in HVAC. They also feature webcasts, the latest news, and much more. Both homeowners and contractors can find resources here. In addition to the latest news, there are also many blogs to choose from including by city and profession. This blog is dedicated to helping those with a contracting business and how to grow it. Recent posts are on cutbacks, time well spent, contracting marketing, and business vs. job. If interested in the government side of contracting and carpentry, visit here. This group often works with the public sector and blogs about how laws affect the business. Mitch is a professional contractor and a “quirky person.” True to form, blog entries take on interesting and quirky topics such as DIY, renovation help, tools under review, and more. The National Contract Management Association keeps a news feed of the latest happenings in the industry. You can also use the site to get certified, attend events, read one of their publications, or even get connected to other contractors. Construction marketing strategies and resources are what this blog offers. Topics range on everything from free web tools for contractors to remodeling tips for specific locations. If you haven’t found what you are looking for in the above contracting blogs, click here. They are forums specifically for contractors to ask and answer questions. Home construction is the focus of these carpentry blogs. You don’t have to live in this part of Massachusetts to take advantage of the blog, but it doesn’t hurt. Robert Robillard is a professional carpenter and shares more on his blog here. He even offers a weekly tool giveaway. Expert home improvement advice is featured here. Every subject from power tools to structure gets its fair share of blog entries. This is a monthly publication for builders and remodelers. Check out the featured articles on the homepage, or get more information from their JLC TV channel. Visit here for “where the DIY meets the LOL.” Loads of expert how-to guides are featured, as well as tips for what not to do. This blog has tips for both home and neighborhood. With a tagline of “do together daily,” it is a great way to get others involved in carpentry. If you can imagine it, this blog can help you build it. 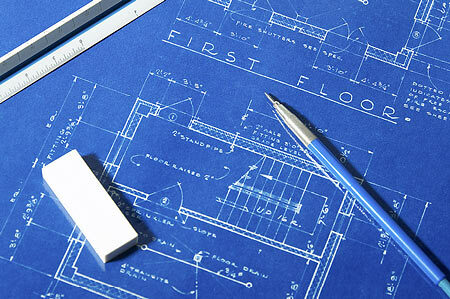 Stop by for tips on materials, fixtures, equipment, contractors, and even home building plans. Both professional builders and remodelers can stop here for entries for both inside and outside of the home. A recent entry was on a tankless water heater. They offer a free service for homeowners to find reputable renovators, repairmen, and retailers by searching its database of almost two million companies. Visit to read testimonials or write your own. Everything from strip malls to skyscrapers are part of these carpentry blogs. Facility management and other professional carpentry resources are found here. Choose from lighting, fire safety, or many other topics covered by blog posts or webcasts. Learn how to both tear it down and build it up on this blog. Videos, news, and more help you do just that. Stop here for a construction blog that “dips below bedrock.” Popular posts include global warming and the $13.5 million project. Visit this blog for the journal of affordable housing and community building. In addition to the blog, you can also get research, jobs, and web exclusives. This blog actually features a column called The Daily Dirt on the industry. You can also get new entries on all sorts of construction topics as well as items on new and used equipment. Learn everything you need to know about prepping a site for commercial carpentry on this blog. Resources are featured both online and in print. Know more about the industry and risk less with the help of this blog. Most popular posts include lawsuits and a ruling on crane safety. He helps small and medium sized commercial and residential contractors improve their marketing communications. Check out the blog to see how and get tips for your own carpentry business. This company helps stakeholders in the construction industry craft, negotiate, and implement integrated agreements. The latest news and breakthroughs in the industry are also covered in the blog. This is the blog of Englewood Construction in Chicago. They share observations and conversations about commercial construction, development, and management. These blogs involve a specific material or area of construction. Learn more about the roofing industry in this blog. The site includes breaking news, digital education, a career center, and more. Learn the latest on materials for carpentry solutions here. Choose from the green, electrical, and many other products. Dry walling and related areas are the focus of this blog. Entries can be on corners, fasteners, code compliance, and much more. Learn loads about flooring and the industry on this blog. You can also check out articles from the latest issue of their magazine. Get the latest in home appliance news and trends here. Everything from stoves to air conditioners and outdoor grills are reviewed. This magazine helps those at all levels who are interested in working with wood. Check it out to see videos, get project ideas, tool recommendations, and more. Check out the latest in lighting with a visit to this blog. Home, office, and life designs are all shared. Get the more trendy and designer information on materials in this blog. Furniture, lighting, and related items are usually reviewed. Visit this blog for information for tools for bricklayers. Categories include cleaning, mortar, flashing, and even forklifts. This blog is obsessed with the construction equipment industry. Topics range from agricultural to the World of Concrete tradeshow. Get loads of design inspiration by checking out these blogs. One of the most important rooms in a home, get all sorts of resources for designing a kitchen at this blog. Susan Serra has been a professional designer for over 20 years and shares loads of expert tips. A DIY design community is the focus of this blog. Topics include furniture, kitchen, crafts, and more. Get all sorts of design ideas for older homes on this blog. How-to advice, a green guide, in the garden, and more sections are offered. Interior and home design is the focus of this blog. Read the latest entry or get random how to tips such as choosing a fireplace and Feng Shui bedroom. Stop here for inspirational home and interior design ideas. Choose from kitchen, bathroom, by style, and even real life house tours. Learn about interior design, particularly of furniture and other in home features, on this blog. The latest entry was on an interesting crib design. Want to know what the best kitchens of the year were? Then stop at this blog to read the post or get many related ones. All three topics are the focus of this blog. Categories range from apartments to wood houses. A recent entry was on a double home in Spain. Get notes and anecdotes from a real, professional kitchen designer here. Answers to reader’s questions, tips, and even random thoughts are all shared. With both definitions for style and court, this blog prefers to review more open spaces. Top posts are on rules and The Rolling Stones. Get the latest in design and architecture from a green point of view here. A fridge that cleans itself and serves meals was the topic of a recent post. Learn more about electrical work, wiring, and more on these blogs. He is a professional electrician and blogger at About.com. DIY projects and troubleshooting are just some of the projects dealt with on the blog. Think electrical work is over your head? Then stop here to get loads of resources on wiring help, how to articles, diagrams, and much more. Join Terry for some professional advice and instruction on home wiring projects. Technology and daily life are also topics of posts. Go inside the mind of Kim Hopkins on this blog. He includes rants, raves, and observations with 30 years of experience to draw on. Although this isn’t a traditional carpentry electrical blog, Johnny still keeps useful electrical tips. Most of them involve geocaching, but the safety elements are definitely worth a read. Similar to the above, this is a guide all about safety information for electricians. Contents include safety devices, the outdoors, hazards, and more. Doing a carpentry project with a green frame of mind? Then check out this electrical blog to get the latest reviews in green power products. Click here for a resource in electrical trade, contracting, and even the consuming side of the business. New entries are sparse but useful tips are included. Why should you call the number or read before starting an electrical project? Because your very safety, as well as the neighborhood power sources, are at stake. Get your pipes right with the below carpentry blogs. 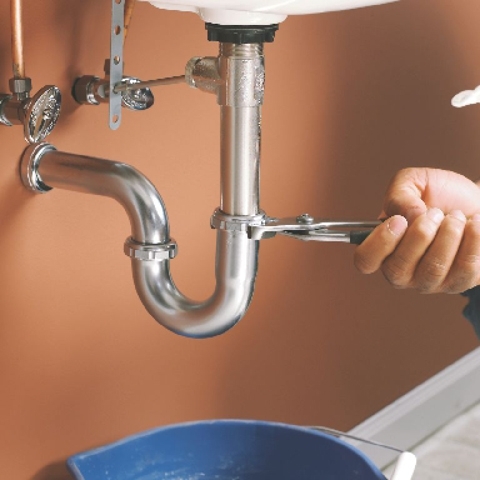 Visit here for another carpentry blog, this one on plumbing, from About.com. Must reads include how to unclog a drain and five tips for pricing plumbers. Everything from commercial plumbing to the DIY is discussed on this blog. You can also send in your plumbing questions or read the latest entry. These carpenters and contractors have a special section for plumbing, along with answers to many common questions. You can also find items on electrical and HVAC. Quiz your own home or project’s water efficiency with a visit to this EPA sponsored site. You can test your own water sense, calculate savings on a project, and even find rebates near you. The latest news in the plumbing and mechanical industry is featured here. You can also get blogs, videos, and more. Stop here for a showcase of faucets and plumbing fixtures on one blog. Links to many popular makers are also included. A variety of bloggers comment on the happenings of the plumbing and piping industry. Visitors can also read the latest news, get buyer’s guide, and even check out RJ’s Tool Bin. This is a licensed, bonded, insured, family owned, and operated full service plumbing company. Everything from shower curtains to kitchen island upgrades is shared. Learn how to remodel, renovate, or redo any project with the help of these blogs. If your to-do list is a mile long, tackle it one project at a time on this blog. There are tool reviews, how to guides, and even coupons for the carpenters. This company specializes in helping people renovate their homes. Check out the blog to get even more tips, or watch videos on the subject. These nationwide remodelers have loads to say about the subject. Popular posts include turning a garage into a dream home and Christmas ideas. Get a “sourcebook for the considered home” here. You can get inspired, choose which room to renovate, and even get the latest design news. Home improvement with an eye on sustainability is what you will find on this blog. Best of the posts include making a French drain and a well pump pressure switch. All things modern, affordable, and green are covered here. The blog began as a record for an attempt to build a LEED home for $100,000 and has since evolved into this popular blog. Sherry and John are a young married couple and are looking to upgrade their 50 year old home. See how and get other family news with a visit. In addition to sharing her own DIY remodeling stories, Kathy also asks readers to send in their own. You can read them all from additions to windows. Click here for the blog of a designing couple who are eager to put their handyman skills to use in their renovation project. Great reads for year’s end are the topic of the latest post. Pam Kueber is your guide to renovation for post war homes. The blog is also a daily dose of mid-century renovation resource, design inspiration, vintage finds, and friends all interested in cherishing their homes. See how they do renovation carpentry overseas in this blog. Kayba is from London where she is currently renovating her home and blogs all about it. Learn more about carpentry with a listen and even look below. Work together on the to-do list at this podcast. The Handy Guys take on everything from recessed lighting to making a sandwich the handy way. The DIY Network is where thousands of handymen stop to learn and watch all sorts of projects. With loads of choices in just the Most Popular section, make time for this site. Ever wish you could take one of those guys from Home Depot home with you? Then get the next best thing by checking out their expert how to guides listed right on the site. Not to be outdone, Lowe’s also has a special how to section for various projects around the home. You can also get home ideas and a personalized help center. The video library of this massive site contains entries on everything from drilling holes to inspecting a chimney. There are also tons of how-to entries, a tool guide, blogs, and even a gallery. Not to be confused with the show, this is actually a podcast on all things relating to tools. Although there are over 60 episodes to choose from, it has been a while since the last one. From the same blog as the above, this is the home of One Beer Projects. Although they have also stopped making new episodes, projects such as fixing the dryer and repairing wood surfaces can still be found. These carpentry blogs deal with a specific aspect of the business. Walker Duke is an attorney and represents companies in construction law. Visit his blog to get the latest in rulings and law news. Like the above, Christopher Hill is a lawyer specializing in construction law. However, his blog tends to lead towards musings on both construction and law, along with everything in between. Just as technology is taking over every business, carpentry is no exception. Visit here to get the latest in software reviews before spending hundreds on an item. If you love tools as much as this blogger does, you’ll both be happy with a visit here. In addition to reviewing tools, they also specialize in breaking them and invite you to submit your own for review. Learn more about interior and exterior painting on this blog. Kevin Palmer is a painting company that serves Connecticut but offers tips to everyone who checks out the blog. Rookster took a woodworking class in 2003 and fell in love with it. Check out his blog to get useful carpentry tips such as building your own bandsaw. Another wood working blog, Dan enjoys working with hand tools. A recent entry asked readers about a mystery tool. Get carpentry the old way on this blog. Hand tools and elbow grease are often the topic of posts. If you wish to extend your carpentry skills to something you can sit on, click here. Chris Davis informs his readers of the inner workings of the furniture business and shows you items as they are completed. Be sure and consult an experienced expert before following any of the advice read on the above top 100 carpentry blogs. For example, a leak can only be prevented if the water is off and a shock happens when circuits aren’t tested. For a free and fun carpentry tool, try Google Sketchup. You can use the free program to design everything from a chair to a building. There are even options to share with the community or get inspired.